I’ve been tagged by my friend, poet Brianna Pike, to post a poem of mine (published, early draft, loved or hated) each day for five days and each day, I’m to tag another poet to join the challenge. For Day One I want to share a poem titled “Boneyard.” This poem was written after a miscarriage. 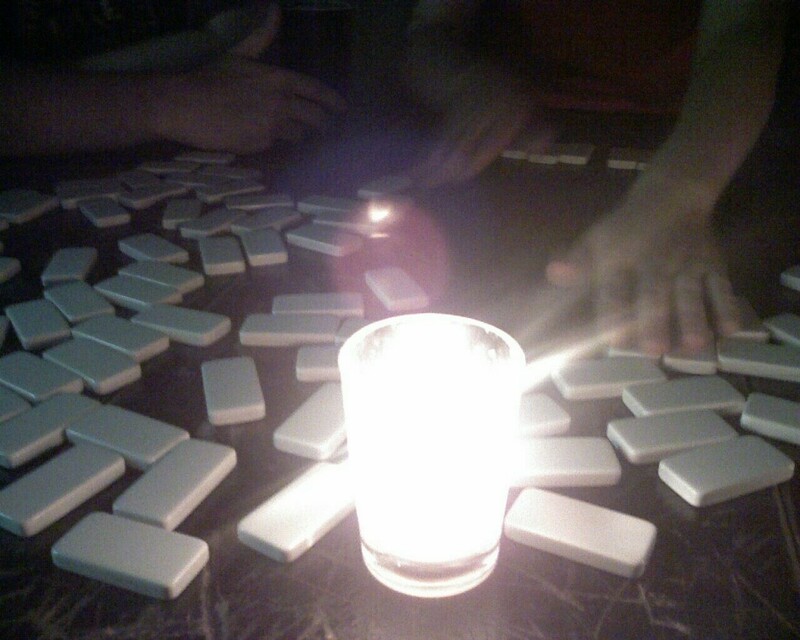 I was playing dominoes with my two children and noticed two things related to loss: 1) The draw pile for dominoes is called the bone yard, which calls cemeteries and death to mind, and 2) It felt like my life was just a game that someone was playing, and I had no control over the moves. I wanted to explore those ideas in a poem. Another thing I tried to do with this poem was to play with words and language a bit. I considered various words that I could apply to loss and love. Though the poem has a bit of a morbid feel, the process of writing it was cathartic and helped me release some of my sadness. I deliberately tried to simply echo my feelings and thoughts about loss and love rather than tie up a sad event in a pretty, happy bow. “Boneyard” was published in January by Alliterati Magazine. There is always a loss. My Thai friend showed me a picture of her mother’s ashes and bones. Like sand in the box. I might have cringed, if I didn’t know it as truth already. Opened by a penny, which means anyone can play on it. For the ashes I scattered. P.S. This poem is part of my forthcoming chapbook. Look for more news about the chapbook soon! This is true and devastating and lovely. Thanks so much for sharing.